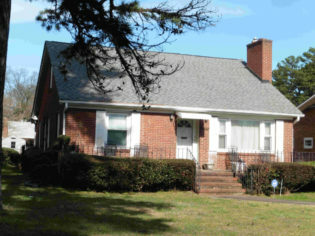 Originally built in 1960, this house was displaced by construction of Brookshire Freeway and moved to this address in 1967 by JCSU Professor William E. Bluford, Sr., and his wife Ocala, a public school teacher. In addition to a long career teaching history at Smith, Prof. Bluford was among the early African Americans employed as visiting professor at Winthrop University as it desegregated. In 1968 he ran unsuccessfully for Mecklenburg County Commission, the first black Republican to do so in the twentieth century. As the Civil Rights movement opened opportunities for public service, he won appointment to several boards including UNC Charlotte’s Board of Trustees, and he became the first African American on the Charlotte Mecklenburg Historic Landmarks Commission. 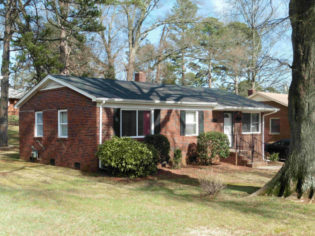 Built in 1963 – 64 for Marvin Rorie and his wife Jeanne, both lifelong educators in Charlotte’s public schools. 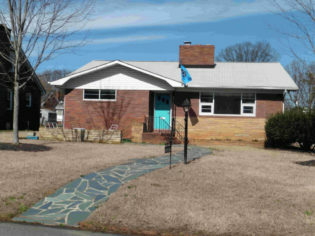 Built in 1956 – 57 for Otis Currie and his wife Revella A. Currie. Mr. Currie worked for the Southern Railway, considered one of the best employers in the segregation era, willing to hire African Americans in steady long-term jobs. Mrs. Currie was nurse’s aid at Mercy Hospital. The family lived in this house for over two decades. 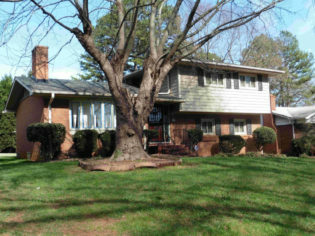 Built about 1960 and first occupied by Eddie Byers, principal at several Charlotte Mecklenburg schools including Piedmont Junior High, and his wife Lois H. Byers, also a lifelong educator. Both were leaders in Charlotte’s civic life. Among other activities, Mr. Byers served as Vice Chair of Charlotte’s anti-poverty agency, the Charlotte Area Fund, and Mrs. Byers led the local chapter of Jacks and Jills, the enrichment organization for African American youth. 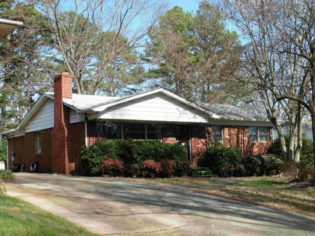 Built 1961 – 62 for Richard A. Stewart and his wife Theresa. He worked in the textile industry as an “expediter” at Southern Knit Wear Mills. She taught at Marie G. Davis Elementary School. In 1956 contractor E.O. 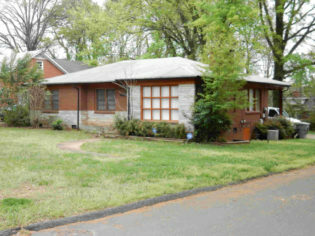 Clarkson took out the building permit to construct this house and in 1957 the residence appeared in the city directory. The first occupant, for over twenty years, was Mrs. Lucielle G. Harris who taught at Morgan School in the Cherry neighborhood. Built 1953-54 by McClure Lumber Company. First occupant was Samuel L. Whiteman, a traveling salesman who sold school supplies. One of a handful of houses in McCrorey Heights spec-built by Ervin Construction, one of Charlotte’s biggest suburban builders. 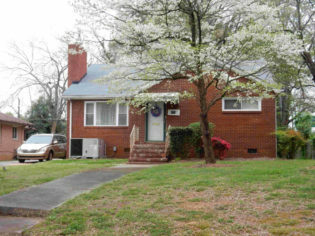 By 1957 William T. Reeder, a mail carrier for the Post Office, and his wife Mae D. Reeder were at this address. A later longtime owner, from the 1960s into at least the 1980s, was Theodore G. Stewart, schoolteacher at J.T. Williams Junior High, and his wife Sara J. Stewart. 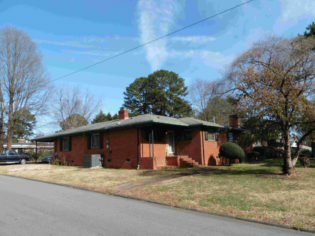 In 1967 Stewart had Mangie McQueen — perhaps Charlotte’s leading African American contractor — add a room and a carport at the rear of the dwelling. 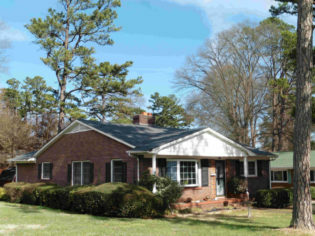 Built in 1957 – 58, this is the long-time home of Isaac Heard, Sr., and wife Gwendolyn. He was among Charlotte’s most highly skilled African American professionals when he arrived in the 1950s as an engineer with Douglas Aircraft. He became a upper-level official in Charlotte’s Community Development Office during the 1970s and 1980s. Son Ike Heard, Jr., became a well-known planner active both locally and nationally. 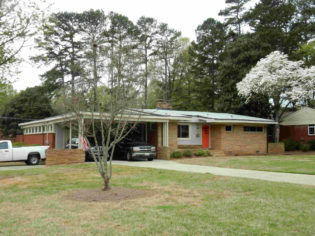 African American architect Harvey Gantt (later elected as Charlotte’s first African American mayor) designed the 1975 carport extension that accentuates the dwelling’s horizontal lines, echoing the work of Frank Lloyd Wright. 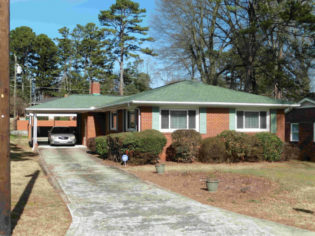 Built 1962 – 63 for physician Dr. Drayton P. Graham and his wife Carolyn. They sold in the late 1960s to Dr. Esther Page Hill and her husband Samuel. She was an artist who became one of the first African American professors at UNC Charlotte. Her husband Samuel Hill built a national reputation as a music educator. 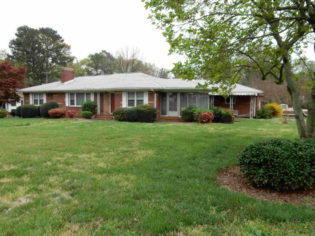 This is one of the largest and most stylish Ranch houses in McCrorey Heights. The two wings, built in yellow brick with low gable roofs, form an L at the corner of Madison Avenue and Creek Street. 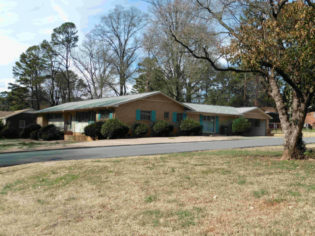 Built 1954 – 55 and first occupied by Rev. Samuel L. Fulwood, Jr., pastor at small-town churches near Charlotte including Bellefonte Presbyterian in Harrisburg, and his wife Hallie, a schoolteacher. They raised Sam Fulwood III in this house, who became a nationally known journalist for Cleveland Plain Dealer, Los Angeles Times and other newspapers. His book Waking from a Dream recalls his youth in McCrorey Heights. In the 2010s Sam Fullwood III worked as Senior Fellow at Center for American Progress, Washington, DC. 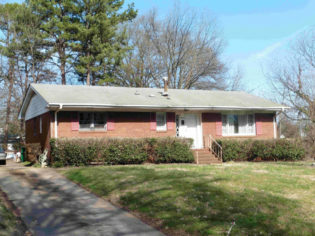 Built 1958 – 59 for Lloyd H. Davis, who headed the Department of Education at Johnson C. Smith University, and his wife Thelma Spaulding Davis, a school teacher. Built in 1954-55. Two early residents each worked their way into positions seldom attained by African Americans in their era. Initial occupant Ulysses McCaskill worked as an etcher, making machinery for printing cloth — a rare African American in a skilled trade in the textile industry in the 1950s. Later occupant Reginald Dalton took an active role in the Republican Party and became an auditor for the North Carolina Department of Revenue, part of the generation who integrated state government in the South. Built in the early 1960s for Ethel Watson, mother-in-law of attorney Charles V. Bell who lived next door at 1645 Madison Avenue. In the 1970s this became the home of Rev. Robert L. Pyant, Pastor at Rock Hill AME Zion Church, and his spouse Genevieve B. Pyant, office clerk at Belk Department Store. 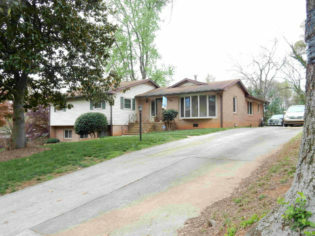 The house was “spec built” in 1957 by Ervin Construction, the leading suburban builder in the Charlotte area during the 1950s – 60s. The initial occupants were Joe and Mildred Grier, educators in Charlotte’s public schools. The family lived here for over half a century, well into the 2010s. 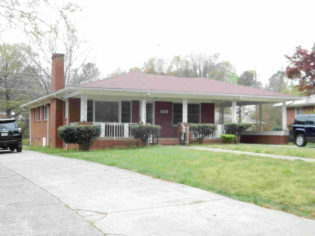 Built in 1957 – 58 for Henry Knight and his wife Emma B. Knight. Mr. Knight was a helper at Swift & Co., the Charlotte branch of the national meat-packing company. Mrs. Knight was a nurse. 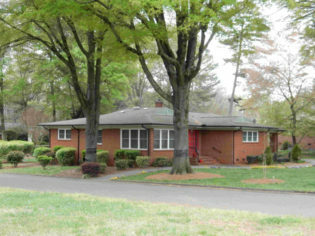 Built in 1955 for attorney Charles V. Bell and his wife Laura E. Bell, a teacher at West Charlotte High School. Civil Rights activist Charles V. Bell ranked among the Carolinas’ leading African American lawyers. He filed school desegregation lawsuits even before the 1954 Brown v Board desegregation decision by the Supreme Court, and he braved arrest for sitting in a white seat on a Gastonia bus years before Rosa Parks’ famous protest. He became one of the first four African Americans admitted in 1955 to membership in Mecklenburg County’s Bar Association. In 1966 he argued Davis v North Carolina before the U.S. Supreme Court, which helped set precedents that safeguard the rights of arrestees. 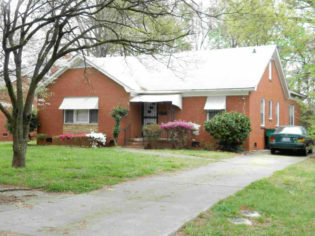 Built in 1959-60, longtime home of postal worker Oren McCullough, Jr., and his wife Ruth, a schoolteacher. Mr. McCullough was a trailblazer in opening government employment to African Americans in Charlotte. “In 1948, Oren and ten other African Americans became the first of their race to be hired by the United States Post Office in Charlotte as Letter Carriers,” reported his funeral program. 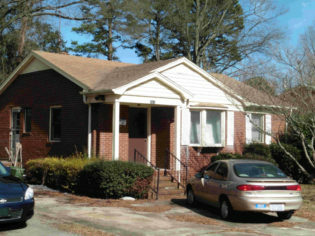 The Dr. Reginald Hawkins House, built 1953 – 54, was one of four homes of Charlotte Civil Rights leaders bombed in the night in 1965. Charlotte’s most outspoken and persistent activist in the Civil Rights movement, Hawkins won major changes in the city and beyond. His protests played key roles in desegregating the Charlotte airport in 1956, upscale restaurants in 1963, Charlotte Memorial Hospital circa 1963, and much more. One his longest efforts was the series of actions and lawsuits that culminated in Swann v Charlotte Mecklenburg Board of Education, the landmark 1971 U.S. Supreme Court decision that brought court-ordered busing to the nation. In 1968 he became the first African American to run for Governor of North Carolina. 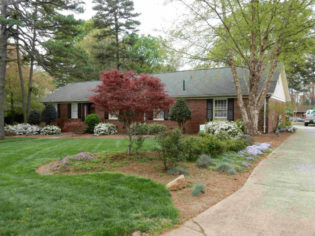 The Hawkins House is architecturally notable, among the earliest and most sophisticated Ranch style designs in Charlotte. In 1956 Thomas E. Gilliard, Jr., porter at American Trust Bank, took out a building permit to have Mangie McQueen, perhaps the city’s top African American contractor, construct this residence. Mr. Gilliard’s wife Mildred Y. Gilliard helped lead one of Charlotte’s most important African American institutions. She served as Program Director at the Phyllis Wheatley YWCA. Founded in 1916 and named for an African American poet, the Charlotte’s YWCA was among the earliest in the nation established by and for African Americans.